Horlicks and Unilever: Who's surprised? What are the implications? Yesterday, Hindustan Unilever announced its decision to merge GlaxoSmithKline's consumer healthcare business into its own portfolio. The transaction is worth Rs. 31,700 crore. The development comes on the back of a closely fought bid; companies that were part of the race include Nestlé and Coca-Cola, among several others. Is this outcome surprising? And what will it mean for both parties? We decided to go back to our brand experts, few who participated in our previous story on the matter (the link is given below) and few fresh names. This time, we asked them: How is the outcome different from what you imagined? What do you think are the biggest implications of this outcome? Edited excerpts of what they said. Unilever, to my mind, was always the dark horse from a strategic perspective. For Nestlé, the strategic fit was obvious given their presence in the nutrition category. Coca-Cola had an opportunity to add to the 'healthier' part of their portfolio which could have balanced their carbonated beverages. For Unilever, it appears that the acquisition is more opportunistic than strategic. New category, new manufacturing competencies, new consumer segments - apart from a sales and distribution leverage there's little in common. The Unilever food portfolio is under-represented in India. The GSK India acquisition could kick-start this significantly. Secondly, GSK is strongly entrenched in the chemist channel which could be leveraged by Unilever. Lastly, there is always some fresh energy and drive post a large acquisition. If Unilever decides to invest significantly it could mean bad news for Bournvita, Complan and other small brands. I suppose the result [HUL acquiring Horlicks/GSK business in India] was pretty predictable. From one UK major to another. I would have liked a somewhat different result. ITC in my mind made a great fit, but obviously the pricing was something that they balked at. That leads us to wonder why HUL? Is it that they are finally wanting to become a credible player in foods? Their foray into staple foods [atta/salt] did not pan out well, in spite of getting Captain Cook on a platter. They could not do much with Modern [bread] though they tried launching biscuits under that brand name. Their ice cream business is still playing catch up and a number of regional players are growing like gangbusters. So maybe they expect Horlicks to give them a big wedge into the growing packaged foods business in India. HUL will try and make Horlicks even more of a national drink. With Bru and Brooke Bond Tea, and Boost, Horlicks and Viva, they can cover the whole gamut of hot beverages. And tomorrow they could get into packaged ready-to-drink beverages, from Ice Tea to Bru Cafe to Boost Chocolate Milk. But in all this they will miss out on the upper end of the nutritional supplement market, one that is today occupied by Pediasure and Ensure; and with Complan going to Cadila, we can see Complan become more HCP-focused [Health Care Professional]. That is an opportunity that HUL will find difficult to tap, given its relative weakness in the HCP segment. If Horlicks had gone to Nestlé, they would have tapped the HCPs a lot better. 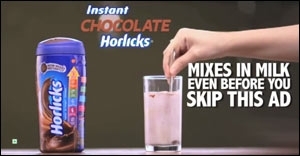 But interesting times for Horlicks, which has just about started getting its mojo back. I had earlier said the Horlicks buy would work best for Nestlé and ITC. So yes, Lever pipping Nestlé, did surprise me. I think it's Unilever having a strong India-listed entity in Hindustan Unilever with a 67 per cent holding, that helped, as they could effectively engineer an all share swap 'merger' with GSK Consumer Healthcare with no cash pay-out. So while clearly there was a strategic fit, the financial viability helped Unilever close the deal as HUL's market cap is more than four times that of Nestlé India, making the share swap viable. The Horlicks buy was always going to be an India-centric deal, given that 90 per cent of the business comes from India. I think the Horlicks buy will help HUL further consolidate its Food and Beverage business enabling it to compete more effectively, versus Nestlé, in the foods category. Horlicks also helps HUL get a strong foothold in the nutrition category and better channel presence in chemists and pharmacies. Further, this move can help generate significant cost savings as HUL's already strong distribution could easily augment Horlicks' availability eliminating dual distribution, logistics and manpower costs. ALSO READ: Race for Horlicks - Who will benefit most? It's an interesting outcome that sends a clear signal of Unilever's strategic intent and imperative in the health and nutrition space. I had suggested Nestlé and Danone (question was: 'Which is the company to which acquiring Horlicks will make the biggest strategic difference?') earlier, based on their current portfolios and market synergies. However, what this move signifies is HUL's aggressive future plans in this space. An iconic brand like Horlicks not only strengthens the F&R (food & refreshments) portfolio significantly but also provides the right platform for their aggressive growth (organic and inorganic) in this space. 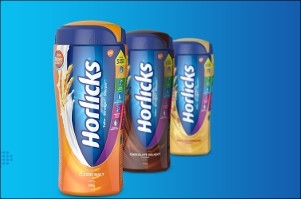 For Horlicks, as growth slows down in its current market comprising the more affluent consumer classes, broad-basing the appeal and reach to lower town classes and rural markets will spur growth. However, we find that increased health awareness is not just a big city trend but, with easier access to information and rising incomes - especially among younger consumers - it's a more universal trend. This would mean refreshing the brand as well as price points, pack sizes, formats and formulations as competition from other brands and formats intensifies. I had predicted HUL as one of the two companies that would benefit from this acquisition; (the other was Nestlé). The reason: HUL has a decent food brand portfolio with distribution power and a desire to strengthen this portfolio. The biggest implications are: HUL will be able to flex its muscles in the food and healthcare categories. The company's clout among chemists will increase. With Horlicks, HUL will have many more positive tickmarks in its marketing arsenal, with greater retailer and household penetration along with increasing synergy with the mother-and-kid segment. It's not surprising. HUL was a much likely candidate and certainly among the best placed to do justice to the brand (Horlicks) and the business. HUL is the temple of marketing in my view and will be able to fortify the brand's strength on the back of a renewed focus on brand building. Product superiority via innovation will be critical to acquiring new consumers and fortifying loyalty amidst a dwindling base. There are many alternatives to nutrition via food and ready-to-drink beverages which are now posing a serious threat to the milk additive category. The category needs re-invigoration via strong innovations - with specific functional claims to recruit new consumer segments and for geographic expansion to the North and West. HUL is the benchmark in FMCG distribution. Besides, HUL is sure to explore alternative models to gain significant entry in the pharmacy channel. Lastly, as far as creating new categories via line extensions is concerned, HUL will do well to leverage the brand equity (of Horlicks) by creating new categories in nutritional foods and beverages. GSK saw very limited success in extensions like cookies, nutribars and oats. It is worthwhile exploring the full spectrum of nutrition, blue-sky, to create a new innovation pipeline. Besides, established categories like ready-to-drink are yet open for Horlicks. The outcome is more or less in line with my expectations and I believe it's a win-win. The biggest implications of this outcome are: Firstly, this is an acknowledgment by both GSK and HUL of the huge market potential for health and health-related products worldwide. Secondly, HUL didn't have any presence in health products so far, nor any significant counter share in pharmacies. The merger will help HUL participate meaningfully in the growing health and wellness market. As for GSK, they are likely to have more synergy with a consumer marketing company like HUL than a pharmaceutical company like Novartis, whose stake in GSK this deal will help buy back. Lastly, GSK's oral care and OTC brands will benefit tremendously in terms of both depth and width of distribution thanks to HUL's unparalleled distribution clout in India, including in rural markets. The outcome is not too different from what one had anticipated. I am not an expert in valuation - but the numbers look big to me. As regards the implications, it bolsters HUL's food portfolio substantially. And also gives a good push to it's promise of 'nutrition'. The strength in distribution should strengthen the brands presence and help accelereate the slow growing category.